Best customer service ever, not only he got me best price which is important he gave me best service which is more important to me. Quick response and very professional i will recommend him to my family and friends thank you Mr Andy Obot keep up the great work. We enjoyed meeting you today! You are a delightful person and it has been a pleasure working with you. Hope all has been well for you and you have had a great start to 2019!! You sent my wife, 2 friends and I to the Hideaway at the Royalton-Cancun in September and I can not thank you enough! The resort was PERFECT and we will be looking to go back in the near future! Thank you Jason for sharing your feedback. We are glad you enjoyed your vacation and It will be our pleasure to serve you again soon. Having in the past had a rather negative experience with a nationwide travel agency, I decided to give Dove Travel a try. Andy worked out the details of a rather complicated trip to China in September 2017. My primary reason to return to China was to volunteer at one of the panda basis outside Chengdu and Andy made my long time dream come true. Andy was always available and the first time I walked into his office, I felt I had known him for a long, long time. I have been traveling for some time and will always use Andy and Dove Travel for future trips. Thanks Andy for such an incredible experience. Thank you Patricia for sharing your positive feedback. It will be our pleasure to serve you again. Hello Andy : ).. We are glad to be able to travel with you again.. Lol I was able to find my feedback from our last trip. Again thank you for the wonderful experience and can not wait to see what Jamacia welcomes us with. Its a pleasure that you are working this trip. I asked Marvette to go through you because i know you work hard to make it a wonderful vacation experience ??. Hope you have a blessed week. 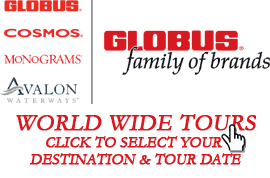 When I started panning this trip I decided to use a Travel Agent. I searched online and took a chance with Dove Travel. To be honest the reason why I choose Dove Travel it was close to where I worked and lived. So I really took a chance. To my surprise the best decision that I could of made. I walk into the building and that is when I met Mr. Andy Obot. The nicest, friendliness person. He made me feel welcome like one feels when you are entering into their home and not there business. We sat and chatted for awhile he wanted to understand what was important for this vacation to be successful. This vacation was for 6 women in their 50's and 60's there were some that had some walking difficulties After gathering all of my information he suggested the Hideaway at Royalton Negril. What a great find. Andy always took the time to follow up with all of my request and always returned all of my phone calls. The best thing when you have people meeting up in Negril, Jamaica from different cities one would think it will be a logistical nightmare. All of our flights arrived within 15 minutes of each other and the same in our departure. Mr. Andy is a very detail oriented person and will work beyond to make sure all our needs are met. I am already talking to Mr. Andy about planning our next vacation. I highly recommend Dove Travel International and Mr. Andy to plan your next vacation. We trusted out honeymoon plans to Dove Travel and Mr. Andy Obot. What a awesome decision that was! He listened to what we wanted, presented options and executed the perfect honeymoon to the D.R. Punta Cana. We stayed in the Excellence Resort and it was awesome, beautiful and a dream come through. He put is in a honeymoon suite which topped off the stay. 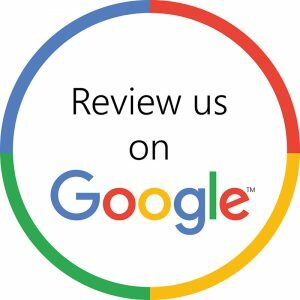 We will definitely use Dove Travel again and would recommend Mr. Obot to anyone to help with their travel needs. We will be planning another trip and we will use Dove Travel! Awesome company !!! No one ever wants to cancel a trip, but that is exactly what I had to do when my friend wasn't able to go last minute. Andy worked so hard on our behalf to make sure the cancellation was taken care of properly. He truly went above and beyond, and I am so thankful for his professional customer service. I would highly recommend Dove Travel for anyone in their vacation planning. Thank you again for everything, Andy!!! A family friend recommended my wife and I to Andy so we went to visit him one day. We had intentions of going to Florida with other friends but Andy told us that for the same amount of money we could go to Rivera Maya in Mexico and have a better time. I trusted him and he got us a great all inclusive deal. This was our first trip together and my wife loved it. The food, weather, and people at the resort were awesome. The trip exceeded our expectations and we plan to do more business with Andy and Dove travels. Thanks again!